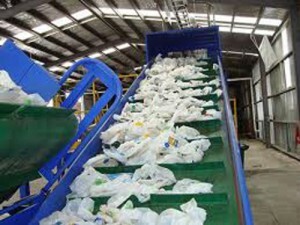 CLEVELAND: Plastics recycler-Geo Tech Polymers has announced opening of their second recycling facility in Ohio. The new 123,000 square foot facility is located in Waverly, Ohio, 60 mile south of Columbus and an hour south of their current facility in Westerville. The company plans to run one line in Westerville and two lines in Waverly. Both the facilities together would be capable to process 20 million to 30 million pounds of recycled plastic per year. Geo-Tech received $460,000 loan obtained from the Pike Commissioners, $1.2 million loan through the Jobs Ohio Program, $50,000 grant from the Fluor-B&W Opportunity Fund, $10,000 grant from the Southern Ohio Agricultural and Community Development Foundation and a $50,902 Job Creation Tax Credit. The balance of the project was financed locally by Ohio Valley Bank. Geo-Tech Polymers, headquartered in Piketon, Ohio, is one of the leading providers of recovered plastics technology for recycling and reusing materials in high-end applications in retail packaging and automotive industries. Geo-Tech is owned by Wastren Advantage Inc., a Waste Management and Recycling Services Company.